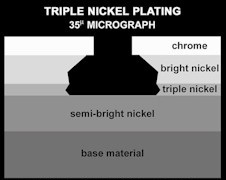 These are triple nickel chrome plated with a guaranteed plating thickness of 3.5U/35 micrograph of triple nickel plating. The triple nickel process was developed to provide excellent chrome adhesion to prevent peeling and added durability to resist corrosion. Every bumper is stamped and plated in state of the art QS & ISO-9000 certified factories. A 5-year warranty comes with these bumpers to original purchaser and they are packaged in boxes specially designed for them with a cosmeline corrosion resistant paper attached to the face of each in their box to ensure damage free delivery to you. Exactly like your originals in shape and form. Because of the triple nickel plating process these bumpers have a deep mirror like reflective finish unmatched by any other. 132155 PREMIUM GRADE Front Chrome Bumper for 1967-70 CHEVROLET also fits 67-68 GMC, exactly like original. Backed with a 5-year warranty to original purchaser and they are packaged in boxes specially designed for them with a cosmeline corrosion resistant paper attached to the face of each in their box to ensure damage free delivery to you. 1110630 67-70 Chevy, also fits 67-68 GMC Painted Front Bumper, exactly like original. All New EDP painted black Steel Stampings. 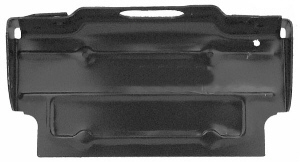 222432-2 Front Bumper to Grille Filler Panel 1967-68 Chevrolet / GMC C / K truck, attaches to front bottom of core support to keep road debris from coming up into radiator. 1110631 1971-72 Front Bumper For Chevrolet, exactly like original. All New EDP painted black Steel Stampings. 132162 1971-72 PREMIUM GRADE Chrome Front Bumper For Chevrolet, exactly like original. Backed with a 5-year warranty to original purchaser and they are packaged in boxes specially designed for them with a cosmeline corrosion resistant paper attached to the face of each in their box to ensure damage free delivery to you. 132155 PREMIUM GRADE Front Chrome Bumper for 19 67-68 GMC also fits 1967-70 Chevrolet, exactly like original. Backed with a 5-year warranty to original purchaser and they are packaged in boxes specially designed for them with a cosmeline corrosion resistant paper attached to the face of each in their box to ensure damage free delivery to you. 1110630 19 67-68 GMC Painted Front Bumper also fits 1967-70 Chevrolet, exactly like original. All New EDP painted black Steel Stampings. 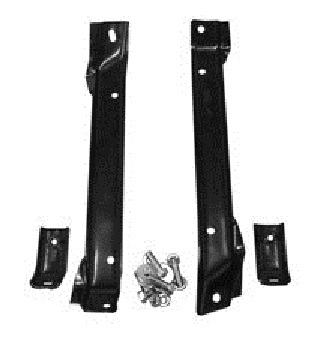 16367810 1969-72 GMC Truck, Suburban and 1969-72 Jimmy Front Bumper, exactly like original. All New EDP painted black Steel Stampings. 132164 Premium Grade Chromed GMC Front Bumper fits 1969-72 Truck, Jimmy, Suburban & 69-70 Panel truck. With Correct Parking Light Indentations, exactly like original. Backed with a 5-year warranty to original purchaser and they are packaged in boxes specially designed for them with a cosmeline corrosion resistant paper attached to the face of each in their box to ensure damage free delivery to you. 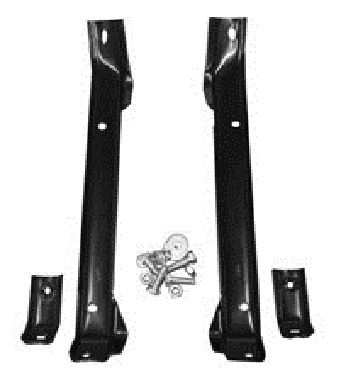 1110633 1967-87 Rear Sport Stepside Bumper, These Are All New steel stampings!! All New EDP painted black. 132166 PREMIUM GRADE 1967-87 Rear Chrome Sport Step side Bumper. Exactly like original in correct steel gauge, fit & form. Backed with a 5-year warranty to original purchaser and they are packaged in boxes specially designed for them with a cosmeline corrosion resistant paper attached to the face of each in their box to ensure damage free delivery to you. 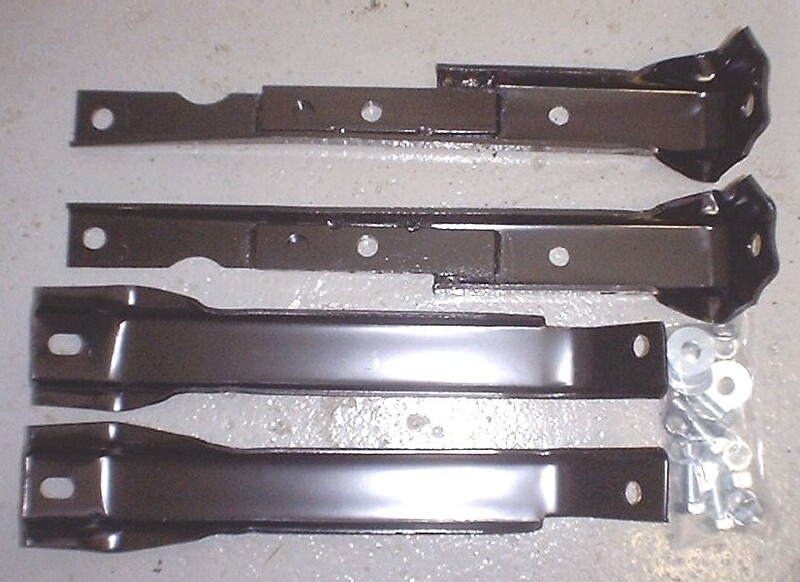 3596382 1967-72 Rear Sport Bumper Fleetside / Blazer / Jimmy / Suburban / 67-70 Panel, These Are All New steel stampings!! All New EDP painted black. 132173 PREMIUM GRADE 1967-72 Chrome rear Sport bumper for Fleetside (wideside), Suburban, Panels, Blazer, Jimmy Bumper For GMC/Chevrolet. Exactly like original in correct steel gauge, fit & form. Backed with a 5-year warranty to original purchaser and they are packaged in boxes specially designed for them with a cosmeline corrosion resistant paper attached to the face of each in their box to ensure damage free delivery to you. 172849 1967-87 Rear license plate bracket assembly. 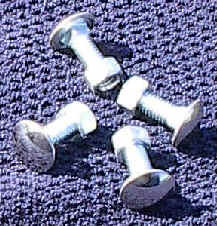 213745 67-72 License Plate Bracket Assembly Stainless Steel Cap Bolt & Nut 3/8"-16X7/8" 4 Required. 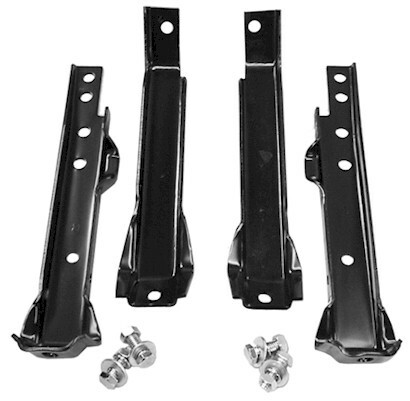 347933 67-72 Rear Fleet Side or Step Side with rear sport bumper license plate bracket assembly license plate light.